Within any warehouse, the picking system that’s used for processing orders and getting merchandise sent to customers can determine just how successful the business will be over the long term. While there are multiple options when it comes to picking systems, most warehouse managers agree that a multilevel picking system has proven to be the most efficient and organized way for order picking and inventory storage to be conducted on a day-to-day basis. For warehouses that move a high volume of merchandise regularly, using a multilevel system for pallet storage can be very effective. Providing a pallet reserve for fast-moving items, this system also keeps reserve stock very close to the order picking line, allowing workers to be more productive within a limited area. In most cases, two or three-tier reserve storage is possible, allowing an abundance of merchandise to be stored nearby. Using this setup, a multilevel picking system can prove to be extremely efficient. Fast-moving items can be stored at various points along the main picking aisle, allowing for easy access and higher levels of picker productivity. Within this system, restocking can always occur from the center aisle without stopping the flow of order-picking going on in the front. For warehouses that use this system, efficiency is consistently at high levels. Using a QuikPik system of delivery, it can supply products of varying volumes to pickers who are located at a central conveyor site. While this is happening, the system lets multiple orders move into a consolidation area, which frees pickers to continue order selection without interruption. What makes a multilevel picking system so efficient is its ability to maximize floor space for the order selection process. No matter how big or small a warehouse may be, maximizing floor space is crucial to achieving great results when it comes to order picking. By integrating static and flow rack along with making the best use of floor space, this system proves why it has become so popular with so many various kinds of businesses. By having products loaded into the system by a restocker, the order picker can then select the item they need and then put it on a staging conveyor. Once this is done, the conveyor can carry the order away, while the empty cartons find their way to a trash conveyor for disposal. By implementing this system, virtually any warehouse can create functional space where none existed before. 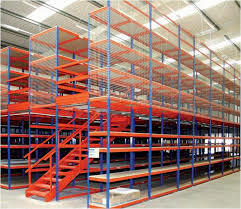 Multi Level warehouse picking systems are also known for their ability to increase storage space by knowing how to best utilize floor space for products and equipment. In some cases, storage capacity was increased by as much as 150 percent after implementation of this system. Many times, this was accomplished by converting from an existing pallet rack to a live carton flow system, which has proven to be extremely cost and time-efficient. With this system, pallet storage over the rear along with reserve pallet storage provide the necessary levels of ready stock that can replenish the carton flow rack, leading to greater efficiency for order pickers. By implementing these aspects of a multilevel picking system, warehouses can expect to increase productivity while at the same time making the order picking and fulfillment task much easier for employees.